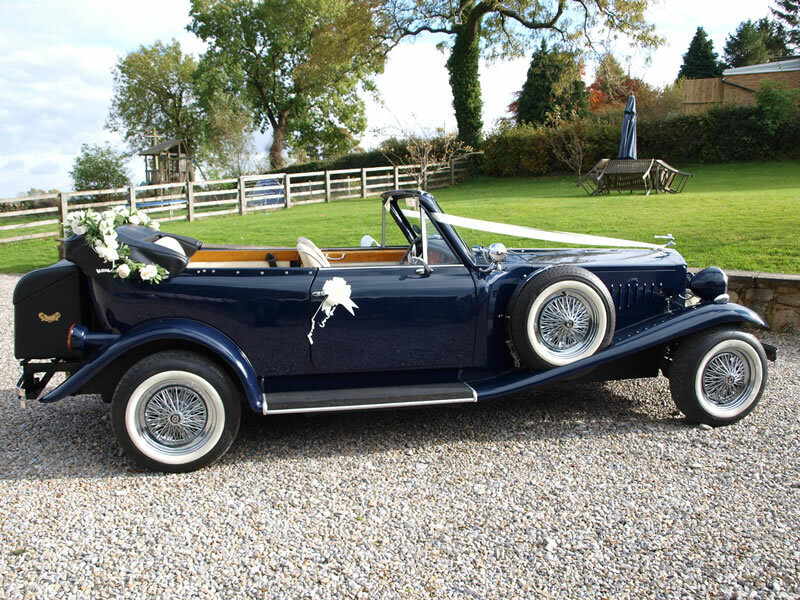 Our 1930s style Beauford two-door convertible with seemingly never ending bonnet, swooping running boards, white wall chrome spoked wheels and side mounted spare, evokes a bygone age when the world moved at a more relaxed pace. 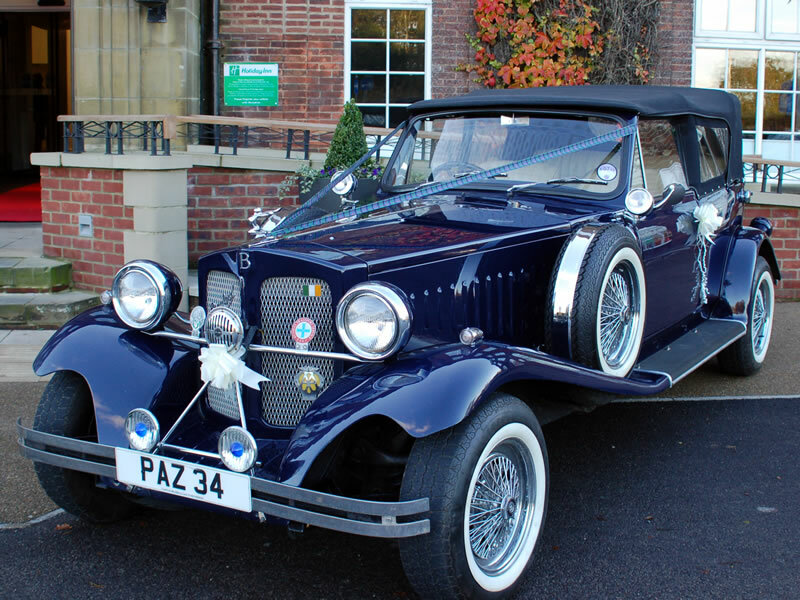 The metallic royal blue colour scheme with a black hood and cream leather interior perfectly complements brides’ dress and makes the perfect backdrop for timeless wedding photographs, helping create treasured memories of your special day. 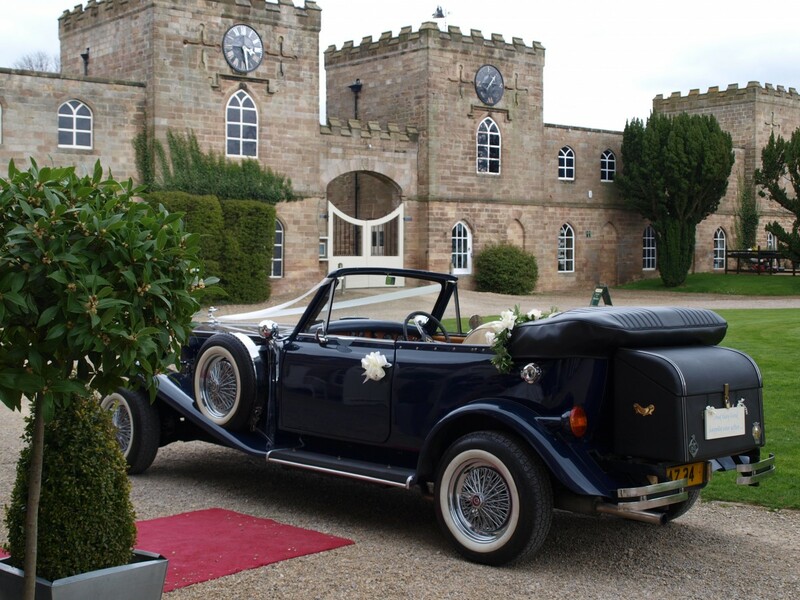 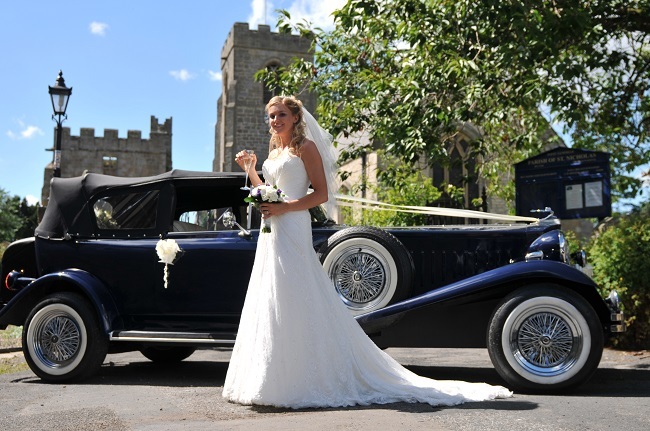 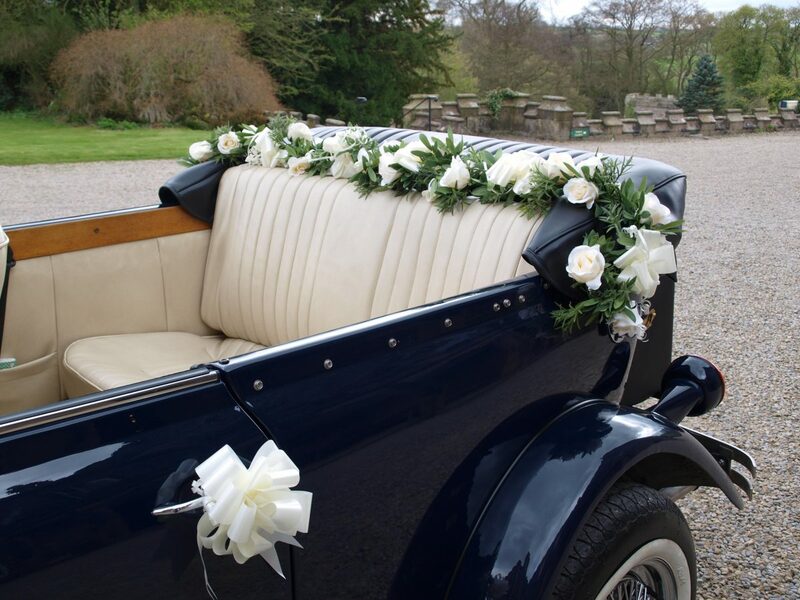 The soft top convertible gives you that fairytale arrival on sunny days but being able to cope with Britain’s unpredictable weather is suitable for weddings all year round and can take up to 3 passengers. 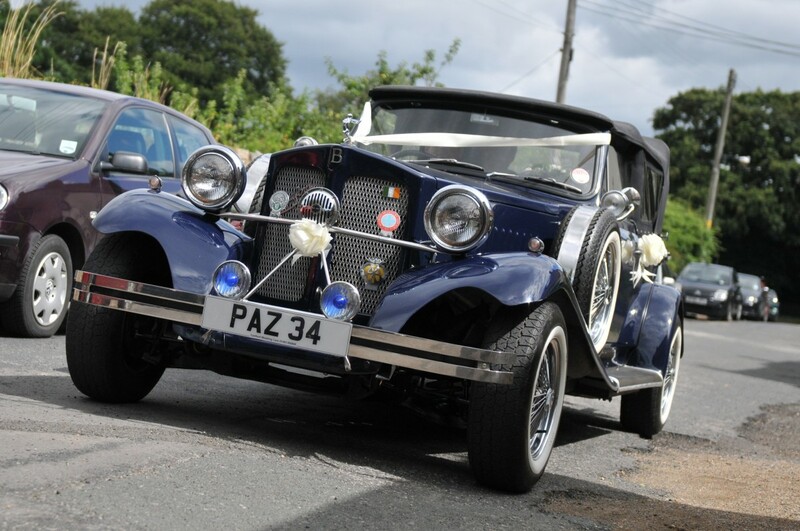 Our wedding car service is tailored to your unique requirements, so contact us to get your personal quote.